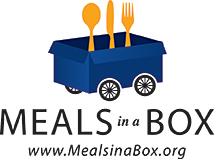 We would like to take this opportunity to dedicate the “Meals in a Box” Veterans Programs in Orange County to Past District Governor, Jim Paddock, DG 2014-15 Jim has been a member of the Placentia Rotary Club since 1991 and served as club president in 2002-2003. 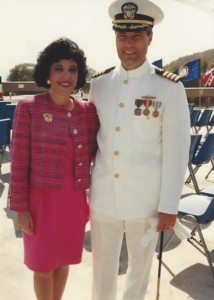 He is a 1969 graduate of the US Naval Academy and served in the Navy’s Submarine Service until 1980, when he joined The Boeing Company. In 2011, Jim retired from a successful 30-year career at Boeing where he filled key management and leadership positions. Jim and his wife Kathy have been married for 45 years and have lived in Placentia since 1982. They have two daughters and a son and nine grandchildren all residing in the Southern California area. When they aren’t spoiling their grandchildren they enjoy traveling and meeting interesting people from around the world. A perfect fit for engaged Rotarians. Jim is also an avid golfer who enjoys a good round or two at a nice resort while Kathy “spas”. Jim’s Rotary moment came while he was club president. As their international project, they spent a day in Mexico building a home for a deserving family. As the sun was setting and the club handed over the keys to the family who would be living there, there was not a dry eye to be found. It was obvious that Rotary had dramatically altered everyone’s lives forever. That was when Jim realized the power of Rotary to do good in the world.